By any measure, a backyard garden with 12 avocado trees will provide a challenge of abundance. How does one preserve the Persea americana? 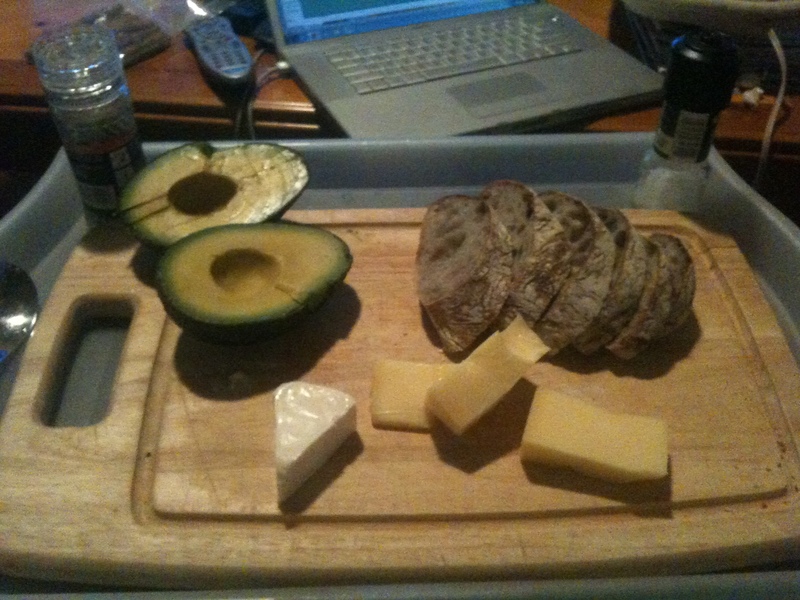 I just had to email and thank you, because I am eating an avocado from your tree right now, and it is phenomenal! Anytime you have extras, you know where to send em! We grow Haas avocados. They have a tough peel, a nice long shelf life, and are overall pretty tasty. They can take up to 10 days to ripen after picking, so they store nicely. Judicious picking can yield a steady stream of ripe avocados in the kitchen. It turns out you can also freeze avocados. Here’s the method, according to Stocking Up by Carol Hupping. Choose those that are ripe and perfect. Peel, halve, and remove pits. Scoop out the pulp and mash it, adding lemon juice or rose hips concentrate to prevent browning. Pack and freeze. I haven’t actually done this myself, but I’m guessing thawed avocado would work well in guacamole.